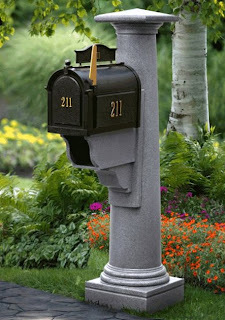 Awhile ago, while I was doing my regular rounds over the net to scout for new interesting products, I came across an out of the ordinary topic about mailboxes. Most of us have probably experienced an instance when our mails were screwed up and got soaked with water inside the mailbox after the rain. Well your mailbox probably isn't following the elite standards like those of Mailboxixchange (pronounced Mailbox Exchange). I did a quick scan of their Commercial and Residential Mailboxes displayed through the site and I am impressed because just like house and building designs, their mail boxes are well structured and follow a high class standard that I am sure will add grandeur to your home. Have a look of their many different designs now and you just might change your mind and would want to replace that old, rusty mailbox of yours.